Hope everyone had a fabulous 4th of July! 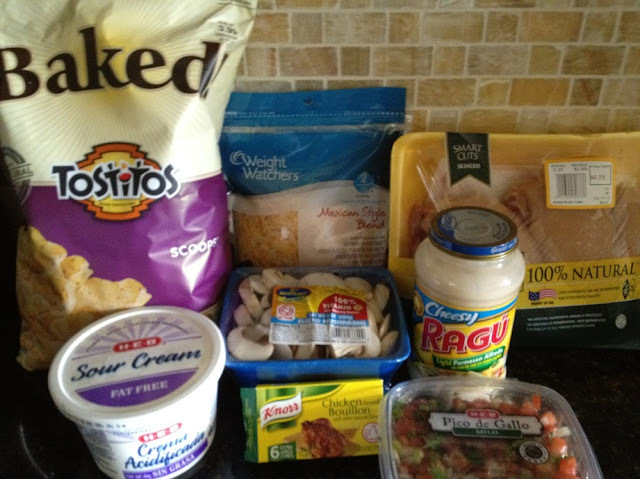 For those of you that have subscribed to my blog from the beginning, this recipe will look familiar. Over the next few weeks, I will be remaking a few of my favorite recipes that were some of my first posts. My blog posts now look completely different than they did a year ago. I feel like people do not make things if they do not have legit pictures hence why I am redoing these posts. 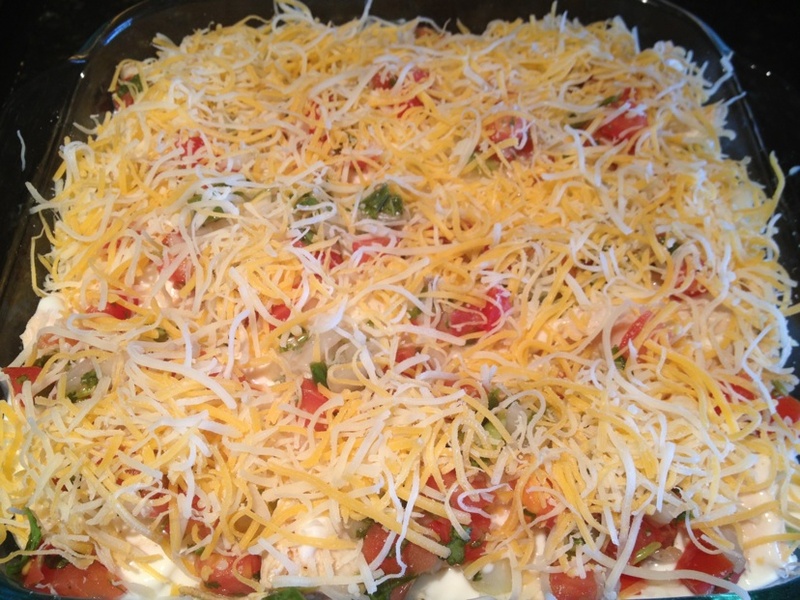 I love king ranch casserole almost as much as I love queso. It takes me back to my sorority days and eating at the house for chapter dinner. This would always be the meal I'd look forward to the most (except Mexican lunch of course). This recipe is very easy to make and I made it as healthy as I could without sacrificing flavor. I like to make this at the beginning of the week so we can eat leftovers the rest :). 2 Tbsp of "I Can't Believe its Not Butter"
Cook your chicken breasts if they are not already cooked. 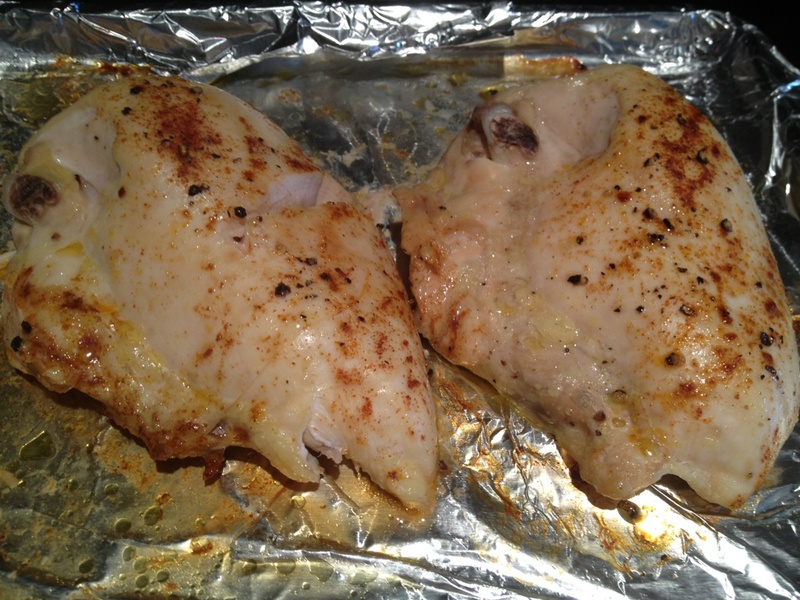 I like to season both sides of my chicken with olive oil, kosher salt, pepper, smoked paprika and then bake at 375 degrees for 20-30 minutes. Once cooked, cut into bite-size chunks. 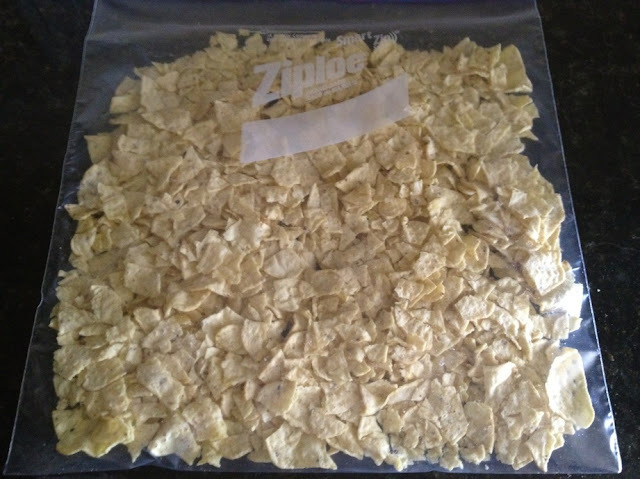 Using your hands or a wooden spoon, coarsely crush the tortilla chips. This is easier to do if you leave them in the bag or put them in a ziplock and then crush them. Place mushrooms, butter and chicken flavored soup granule in a glass bowl. Microwave on high for 3 minutes. 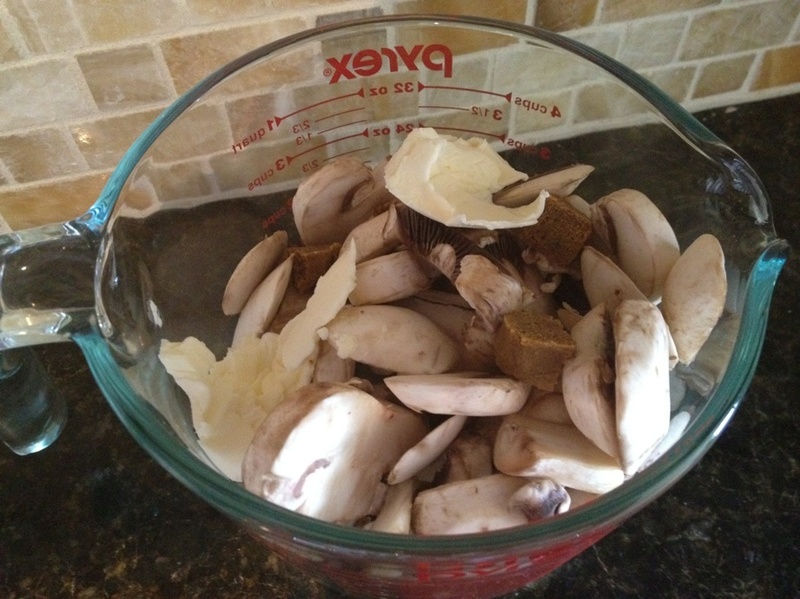 After cooking mushrooms, DRAIN. Combine 1/2 the jar of alfredo sauce with sour cream and mix well. Coat a 9x12-inch glass baking dish with nonstick cooking spray. Cover the bottom of the pan with about 2 cups of the crushed chips. 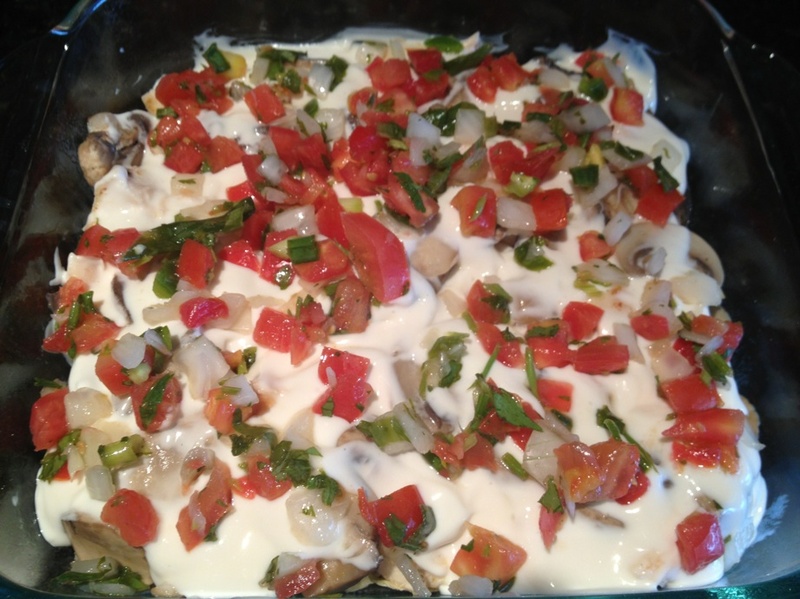 Top with half of the chicken, all of the mushrooms, half of the sauce, half of the pico de gallo and half of the cheese. Note: The sauce is fairly thick, so it is easier to spread if you evenly distribute large spoonfuls and then spread it gently with the back of a large spoon. Once the dish heats, the sauce will thin. Repeat with 2 cups crushed chips and remaining chicken, sauce, pico de gallo and cheese. 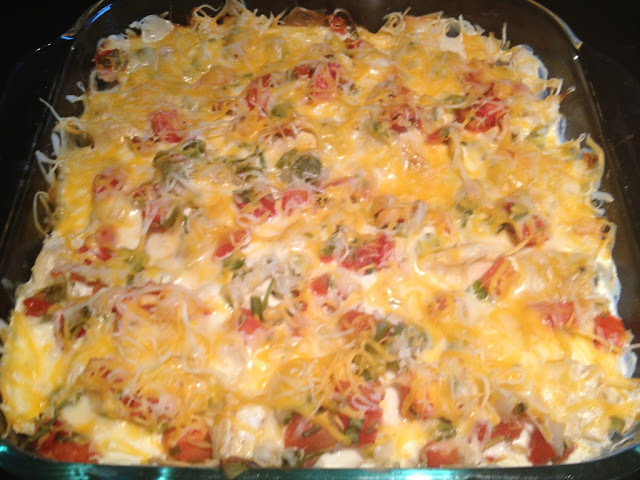 Bake the casserole 35 to 40 minutes, or until cheese melts and hot. Makes 8 to 10 servings.